The Sims franchise has been the bread and butter of Maxis since the very first installment of The Sims was released in February 2000. 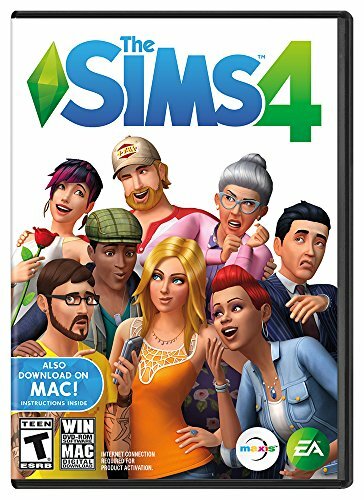 Now after three installments, several side games and hundreds of expansion packs, Maxis and EA are ready to move forward into The Sims 4. However, what can a company do to breathe new life into what is essentially the same god-complex-satisfying, control-freak-attracting life simulation? Everything. With each new installation of The Sims, Maxis has brought new features to help enhance the realism of their series. The Sims 3 was ground-breaking with its aging system, but The Sims 4 is set to be the most realistic and possibly most addicting installment to date. But what is different about The Sims 4 compared to the previous installments? Creating a Sim is a major part of every Sim game where users can create themselves, other people, or even just some random handsome devil before sending them about town to live their life. In previous installments, you could only pick from a select number of faces, hairstyles, noses and the like. However, in The Sims 3 you could make changes to specific attributes of their appearance via various slider bars for those that wanted to take the time. In the Sims 4, however, Maxis really stepped up their game. Rather than manipulating the character's appearance with a series of sliders, you can grab a portion of their face or body and mold it like clay. By grabbing their nose, you can make it longer or wider. By grabbing their cheekbones, you can raise them up and make them or pronounced. Every feature of a Sim can be molded to a very specific setting without having to go through the menus to find said setting. Aside from creating your Sims the very specific way that you want, you can dictate how you want to reflect them through various walking styles. Alongside that, you can pick a series of traits that reflect their personality and goals in life. That particular aspect isn't really new, but instead of picking very specific traits, they are now broader and each definitively contributes to how they behave in social situations. Why focus so much on your characters personality when The Sims franchise has majorly focused on just keeping your needs bars full and making babies? Well, The Sims 4 developers have stated that Sims 4 is less about fulfilling the needs of your Sim and more about socialization and their emotions. In The Sims 4, you can see a Sim's emotion written on their face. These emotions will have a powerful impact on socialization as well. If they are feeling happy, then they will be great company, but if a Sim is angry, they are more likely to make more enemies than friends. Sims can even get depressed which will help them succeed in more artistic endeavours, but they will need some cheering up if they want to succeed in more cheerful or ambitious endeavours. These emotions will also affect what ambitions drive the character, much like the wish system in Sims 3. Fulfilling these conditions will earn them bonuses to traits that will affect their mood or performance. For example, fulfilling a wish on a depressed Sim may boost his or her mood a bit so that they can be feeling up for a party. I always hated neighborhood in previous Sim games, once your Sims left that neighborhood, time froze in your home neighborhood. Clearly someone hated that feature as much as I did. Now other neighborhoods are still just a load screen away, but your home neighborhood continues down the common sense timeline by aging, forming relationships and having kids. You can head into the big city for your workday and return home to the suburbs at night, much like real people do. Not only this, but characters from other neighborhood will organically visit your own so you don't end up with that weird Sims neighborhood where almost everyone is related in some way. The Build Mode in this fourth installation has been improved in a number of different ways, primarily to appease the lazier armchair architects. The Build Mode features much more forgiving building rules and pre-fabricated rooms to allow for an easier building process. If you built your house too much to the right on the lot, you can pick up the entire structure and scoot it over. If you decide you want to switch a bathroom with a bedroom, you can pick up a whole room and move it around. If you want to resize a room, just drag it and the furniture will readjust itself to match the room's new size. They also allow for some more specific tweeks to be done to houses like vaulted ceilings. While The Sims 4 does not need an internet connection to play, it does need one to install. Players can also utilize having an internet connection while in game by visiting the store. They can pop right into the store page in game and get player made content with ease. I have not had much experience with The Sims store, so I don't know if it will be paid content or free content. I always got player made content for free anyway. Still, it is a nice feature for those that frequent The Sims store. What's Not in the Sims 4? While this fourth incarnation brings a whole lot of improvements and new things to the table, there are a couple of things that players have gotten used to that will not be around anymore. Your DLC - Like every new Sims game, you start with just the base game and the base things within it. Don't worry, EA and Maxis will release tons of expansion packs for $40 each that will give you a few new things. And yes, we will buy them because we are slaves to the master. Create-A-Style - This is one of the most glossed over cuts from the game that many have gotten used to from The Sims 3. The Create-A-Style tool allowed players to choose a pattern from large library to add to furniture or clothing, which you could also recolor. That allowed for huge design flexibility, but yet it is gone. Let's hope that EA doesn't decide that reskinning the same furniture would make for a good microtransaction. Toddlers and Pools - This is the biggest criticism about this upcoming game to date. They announced that neither toddlers nor pools will be available in the base game due to time constraints and difficulties with coding and designing them. Toddlers have been a staple since The Sims 2 and pools were available in the very first game. It has gotten fans quite riled, especially since they know that EA will put them behind a pay wall of an expansion pack later. Need this Game and You Need it Now? I was a bit hesitant to like the new installment when it was announced in the forums and then E3's coverage of the game some what peeked my interest. After reading you review of the I might consider purchasing the game some time in the future but still on the fence about it. Just hope the fashions are expansive. I play S3 on a time freeze setting where my sim doesn't age. As for the Sims Store, depending on what you're getting you may have to dish out real world currency for the store currency (SimPoints). Thanks for sharing this article. I love Sims so much but I had to stop playing because I got so addicted. Sims 4 looks so much fun!